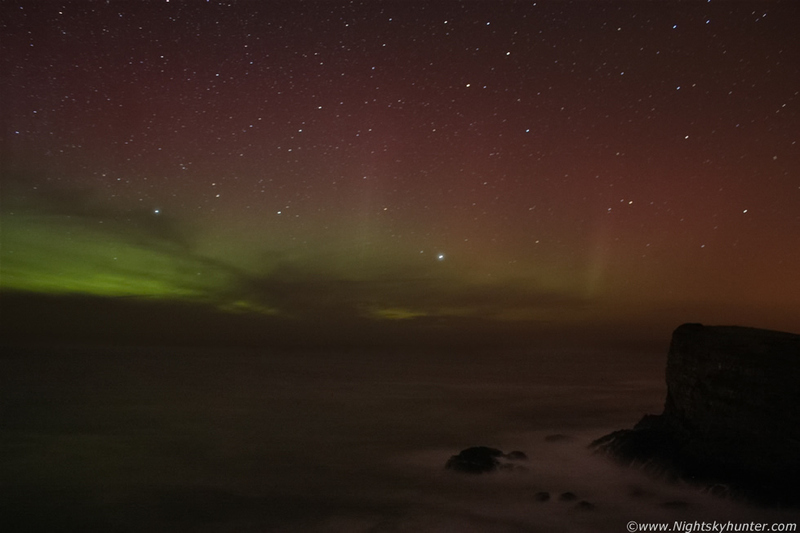 Geomagnetic storm with vivid green aurora band and red upper canopy accompanied by an active group of vertical rays over the Atlantic Ocean on March 1st 2011 captured from the Antrim coastline in N. Ireland. The red colour of the aurora can be see reflecting on the sea below. Read more about this night on the report.